When someone misses their first serve, they absolutely have to get the second serve in the box. 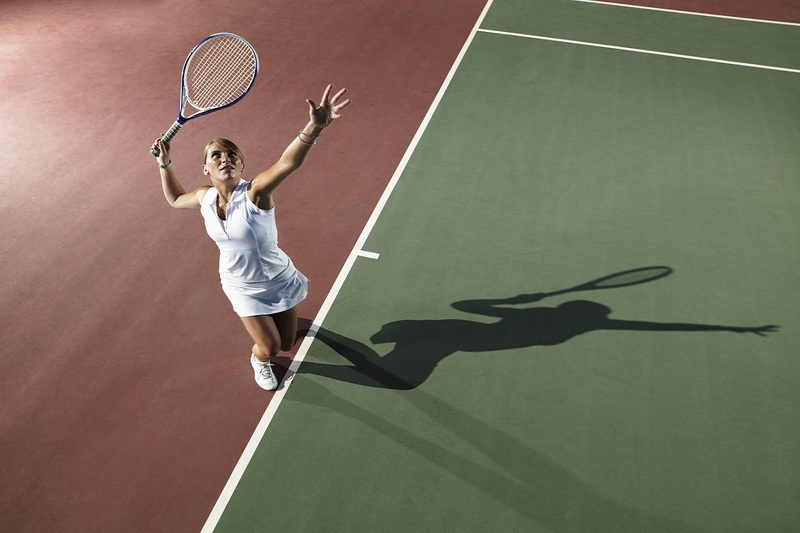 Because of this, even good tennis players can become tentative on their second serve. Try standing two or three steps inside of your first serve returning position prior to the opponent's second serve. This will put a lot of pressure on the server and can result in even weaker serves and possibly some double faults. If you are uncomfortable returning serve from close in, you can always take a step or two back as the server tosses the ball. My advice is to be aggressive on the return of serve. Hit the return away from the server and get them moving. If you are more comfortable hitting the ball hard, do so but make sure to hit it deep and down the middle. Taking the ball early is another good way to attack the second serve. Challenge yourself to hit the return on the rise and make contact prior to the peak of the bounce. This will take time away from your opponent and is likely to result in weaker first shots after the serve, and should allow you to hit some balls from inside the baseline. This will also give you the option of hitting an approach shot and moving towards the net. Remember to attack your opponent's second serve to help give yourself control of the point and force the server to play defense.